Aida is a 1987 Swedish movie, directed by Claes Fellbom. 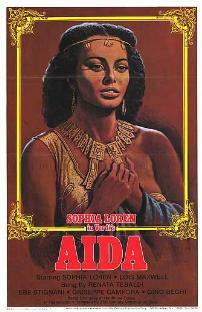 The film is based on Giuseppe Verdi's opera, Aida . The following is an overview of events in 1987 in film, including the highest-grossing films, award ceremonies and festivals, a list of films released and notable deaths. Paramount Pictures celebrated its 75th anniversary in 1987. Claes Fellbom is a Swedish film director, screenwriter, and composer, and a librettist and opera stage director. He is the founder and managing director of Folkoperan. Robert Grundin sings the part of Radamès, and the role is played by dancer Niklas Ek. Marianne Myrsten sings the part of the high priestess, played by Françoise Drapier. Thomas Annmo is the voice of the Messenger, played by Lennart Håkansson. Kerstin Nerbe was responsible for reworking the music. The film is built on a performance at the Stockholm Folk Opera in 1985. Italian lyrics by Antonio Ghislanzoni and Swedish lyrics (1880) by Herbert Sundberg. Antonio Ghislanzoni was an Italian journalist, poet, and novelist who wrote librettos for Verdi, among other composers, of which the best known are Aida and the revised version of La forza del destino. Johan Jonatan "Jussi" Björling was a Swedish tenor. One of the leading operatic singers of the 20th century, Björling appeared for many years at the Metropolitan Opera in New York and less frequently at the major European opera houses, including the Royal Opera House in London and La Scala in Milan. Mario Del Monaco was an Italian operatic tenor. 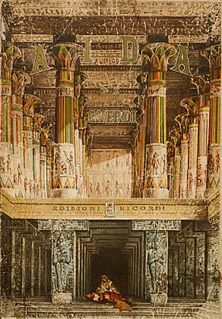 Aida is a musical based on the opera of the same name written by Antonio Ghislanzoni with music by Giuseppe Verdi. It has music by Elton John, lyrics by Tim Rice, and book by Linda Woolverton, Robert Falls, and David Henry Hwang, and was originally produced by Walt Disney Theatrical. Aida is an opera by Giuseppe Verdi. Thelma Votipka was an American mezzo-soprano who sang 1,422 performances with the Metropolitan Opera, more than any other woman in the company's history. Marisa Galvany is an American soprano who had an active international career performing in operas and concerts up into the early 2000s. Known for the great intensity of her performances, Galvany particularly excelled in portraying Verdi heroines. She was notably a regular performer at the New York City Opera between 1972 and 1983. Gloria Davy was a Swiss soprano of American birth who had an active international career in operas and concerts from the 1950s through the 1980s. A talented spinto soprano, she was widely acclaimed for her portrayal of the title role in Giuseppe Verdi's Aida; a role she performed in many of the world's top opera houses. She was notably the first black artist to perform the role of Aida at the Metropolitan Opera in New York City in 1958. While she performed a broad repertoire, she was particularly admired for her interpretations of 20th-century music, including the works of Richard Strauss, Benjamin Britten and Paul Hindemith. Hasan Anami Olya is an Iranian opera singer. Since 1997, he has been a soloist of the Azerbaijan State Academic Opera and Ballet Theatre in Baku, Azerbaijan. He has performed many concerts both in Azerbaijan and abroad, including Russia, Georgia, Turkey, Bolivia, Ukraine, France, Japan, Germany, and Dubai. Eva Gustavson, sometimes known as Eva Gustafson, was a Norwegian-American contralto who had an active international performance career in operas and concerts during the 1940s and 1950s. She later embarked on a second career as a voice teacher in the United States, notably teaching for many years on the music faculty of the University of Southern California. Mark Delavan is an American operatic bass-baritone. He made his professional debut in 1986 at the San Francisco Opera in a small role in Giuseppe Verdi's Don Carlos. He spent the next three years performing in numerous comprimario roles with the company. He has since returned to that opera house to sing Scarpia in Giacomo Puccini's Tosca and Wotan in Richard Wagner's The Ring Cycle. In 2001 he made his debut at the Metropolitan Opera as Amonasro in Verdi's Aida with Deborah Voigt in the title role, Luciano Pavarotti as Radamès, Olga Borodina as Amneris, and James Levine conducting. He has since been heard at the Met as Alfio in Pietro Mascagni's Cavalleria rusticana, Carlo Gérard in Andrea Chénier, Count Tomsky in The Queen of Spades, Don Carlo in Verdi's La Forza del Destino, the Messenger in Richard Strauss' Die Frau ohne Schatten, Scarpia, and the title roles in Verdi's Nabucco, Verdi's Rigoletto, and Verdi's Simon Boccanegra. Kurt Baum was an Austria-Hungary born American operatic tenor. He is best remembered for his 25 seasons spent with the Metropolitan Opera, between 1941 and 1966. Aleksandrs Antoņenko is a Latvian tenor who specializes in dramatic repertoire, The Metropoliten opera, La Scala soloist. Maria Pellegrini is a Canadian operatic soprano of Italian birth who has had an active international career since the 1960s. She is particularly associated with the operas of Giacomo Puccini and Giuseppe Verdi. In 1965 she became a naturalized Canadian citizen. Camellia Johnson was an American concert and opera singer. She began her career performing works from the mezzo-soprano repertoire, but after encouragement from the staff at the Metropolitan Opera retrained her voice as a soprano. She successfully made that transition after winning the Young Concert Artists competition in 1993. She went on to perform as a leading soprano with orchestras and opera companies internationally. Gaston Rivero is an Uruguayan-US American operatic tenor. This article is based on a translation of the corresponding article in Swedish. 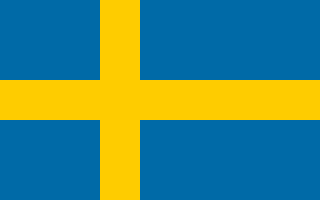 The Swedish Film Database is an Internet database about Swedish films, published by the Swedish Film Institute. It contains information about all Swedish films from 1897 onwards and foreign films that had cinema premiere in Sweden. It also provides a lot of biographies of actors, directors, producers etc. who participated in Swedish films over the years. It is created with the support of the Bank of Sweden Tercentenary Foundation. The database comprises about 62,000 films and 265,000 people. This article related to a Swedish film of the 1980s is a stub. You can help Wikipedia by expanding it.